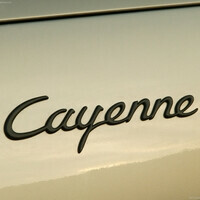 Once again, the rumored LG LS860, codenamed "Cayenne", is making headlines after being forgotten for over a month. Back in May, hardware specs of the smartphone were leaked, hinting that we were dealing with a QWERTY keyboard-touting mid-ranger for Sprint, and today, we have what is said to be a photo of the actual device up and running. 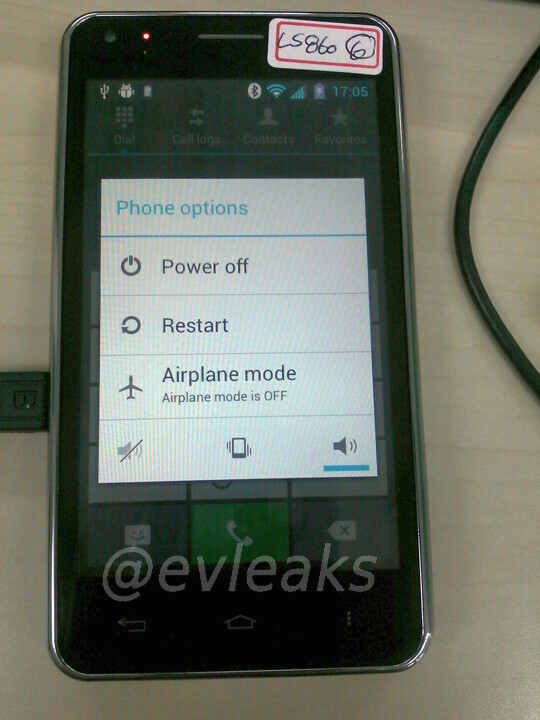 The source of the image that you see is the same one that brought us the picture of the Samsung Jasper a few days ago. Their Twitter page appears to have been suspended already, but we managed to find a cached version containing the image itself. In addition to the photo, the source reiterates some of the LG Cayenne hardware specs that we have heard from other rumors already, namely the Snapdragon S4 processor, 1GB of RAM, the 5-megapixel camera, 4-inch WVGA display, and Ice Cream Sandwich out of the box. Overall, we seem to have a decent mid-range Android device cooking for those who still demand having a physical keyboard on their smartphone. And that concludes the latest LG Cayenne leak, with no information as to when (or whether) Sprint is planning to announce the device, how much it might cost, or what its actual name might be. Is anyone looking forward to checking this smartphone out? And I thought there's a scarcity of S4 chipsets. I can upgrade in September and I'm one of the few rare users here who prefer a physical QWERTY keyboard to a virtual one. If this is indeed a midranger, at least it's a bump up from the Kyocera Rise. Why the secrecy Sprint? The Epic, sadly, is still their best slide out qwerty, and its pushing 2 years old now. We need a phone to take its place, given that that phone is EOL now and inventory will eventaully be completely depleted, and all qwertys since they have been lower spec. Get this phones in stores ASAP! Every other major carrier has at least 1 dual core qwerty model, why are you holding out on us? This is nice that they are releasing some side sliders with the Photon Q and this phone, but what is up with the low res camera? The S4 chip is plenty capable and is used on the current flagship phones, and 1 gig of ram is also standard although I would prefer 2. The problem that I see with this phone is the 5MP camera, as they have had 8MP cameras out for years now! My Epic has a 5MP camera, its over 2 years old and wasn't a high-spec camera when it came out... Personally I just hope they include a huge battery, as the GSIII and EVO have 2000+mAh batteries, while the preliminary specs from the new Photon Q is only 1750 mAh. I want a slider that can handle MORE than a day!!!!! Sliders aren't typically the thinnest, so just give us a 2600mAh battery and these will FLY off the shelves!